Figuring out the ins and outs of a connected home can be a daunting task. That's why we sat down with the experts at Nest to find out exactly what you need to know. We asked them some of the most common questions surrounding this exciting technology. Here's what they had to say. Question: Why should builders incorporate Nest products into their homes? Nest: Nest products are more than just an on/off switch. They’re about making your customers’ homes more thoughtful by providing them with comfort, security and energy savings capability– taking care of those in and around their homes. By installing Nest products, you’re able to leverage the product suite and brand to attract customers looking for connected home products - enabling you to be forward-thinking and drive faster and hopefully more profitable sales. Customers love the smart/connected home and demand continues to grow. Specifically, they love Nest products. Within 6 weeks of purchasing the Nest Thermostat, 87% of US customers say they are likely to buy another Nest product. By partnering with Nest as a builder, you’re able to leverage Nest’s best-in-class products and brand to further your business and gain the trust of your customers. 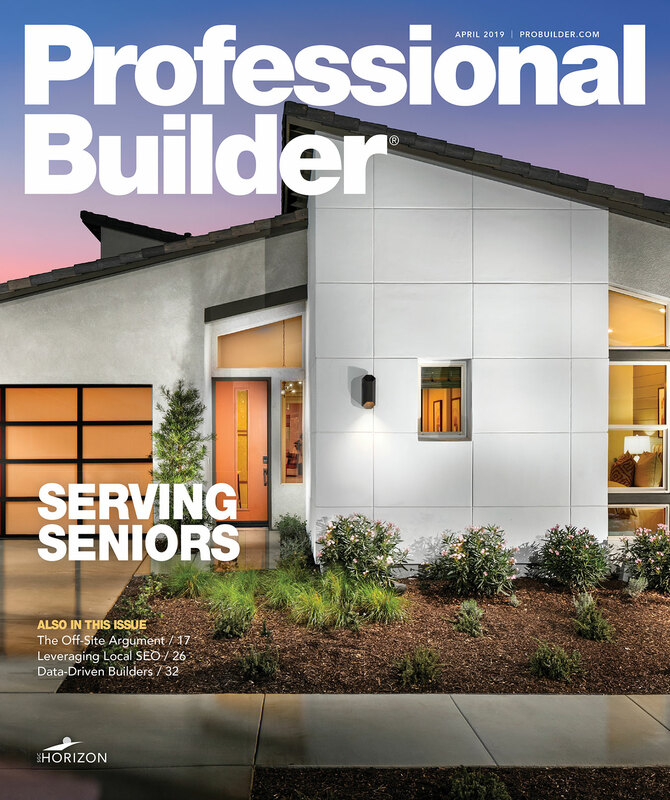 According to a recent Coldwell Banker study of 1,250 adults who have access to broadband internet, 36% of people indicated smart technology as a major selling point for the home. We’ve even seen Realtors begin including Nest in their home listings. This speaks volumes about the increased importance consumers are now finding with our products. Q: Do you have one app to control everything? Nest: There is a Nest app that allows you to control all Nest products. Works with Nest products utilize their own apps. Everybody is looking for the killer app for the connected home. They haven’t found it because they’re looking for the wrong thing. It’s not a single product. It’s about many products that can all be easily set up by regular people. And these products work together to manage the house automatically. This requires a platform with the right technology. We are aware that people don’t get all of their products and services from one single company. They shop around and find the ones that are the right fit for them. That’s why Nest allows other companies to create connections with Nest products. Works with Nest is about making your house a more thoughtful home by establishing meaningful, secure connections between the different parts of people’s lives. By opening up the Nest APIs, we’ve made it possible for Nest products to interact with the things people use every day, both inside and outside of their homes. Q: Location, schools and proximity to amenities are what sell homes. Why should I spend more for a Nest Thermostat than what I’m paying today? Nest: You’re right. Location, schools and amenities do sell homes. But by installing products that are thoughtful and connected, you may be able to attract a different type of customer such as early tech adopters or environmental enthusiasts. Nest offers builders the lowest entry cost in the connected home and a way to differentiate themselves in the market. Q: What’s so special about the Nest Thermostat? Nest: Thermostats can control half of your home’s energy use, yet many people don’t program their thermostats and simply leave them at one temperature all day long - because they’re just too complicated. So we made saving energy simple. The Nest Thermostat learns from you to program itself, turns itself down when you’re away and can be controlled from anywhere with your phone. And now with a larger and sharper high-definition display and enhanced learning, the 3rd generation Nest Thermostat takes another step ahead. • Auto Schedule: There’s no more programming. With Auto-Schedule, Nest learns from you and programs itself. • Home/Away Assist: The days of heating and cooling an empty home are in the past. Home/Away Assist adjusts the temperature after you leave. • Remote Control: The best in class Nest App allows you to control your thermostat from anywhere using your phone, tablet or laptop. • Energy History: The more you know about your energy consumption, the more you can save. With the Nest app you can check your Energy History to see how much energy you use and why. • Nest Leaf: Get visual confirmation for all of your energy saving. The Leaf appears when you choose a temperature that saves energy. And as builders, if you enroll in the Nest Pro program, you become eligible for Nest Pro Program benefits. These benefits include a 5-year warranty when installed by a Nest Pro and more control through increased accuracy with 10 temperature sensors. Q: Can you prove energy savings? For more information, you can read the Nest Energy Savings White Paper here. Q: Let’s say I include Nest in my development, what happens in 6-12 months when Nest comes out with a new version of the thermostat? Nest: We first launched the Nest Learning Thermostat in 2011. Each year, we’ve continued to make advances and add new features. Because the Nest Thermostat is connected to the cloud, software updates can occur seamlessly - the same way you receive software updates on your mobile phone. A Nest Thermostat that’s connected to the internet and installed on a wall in your development will be able to update to the latest compatible features wirelessly. As an example, I have a 1st generation Nest Thermostat installed in my home. My thermostat is running the same software as the 3rd Generation Nest Thermostat you buy today. The hardware is different, but the software is the same. Q: What other products does Nest make besides the Thermostat? Nest: Nest is committed to making products that improve the safety, security and comfort for the home. While we’re well known for the Thermostat, we also make several other products. [According to NFPA], 60% of fire deaths in the US happen in homes without working smoke alarms. Nest Protect detects both fast and slow burning fires, has a battery life of up to 10-years, and can be silenced from a phone. What differentiates Nest Protect from its competitors is it has a Split-Spectrum Sensor which uses two wavelengths of light to detect both smoldering and fast-burning fires. It speaks up if there’s smoke or CO and says where the danger is. 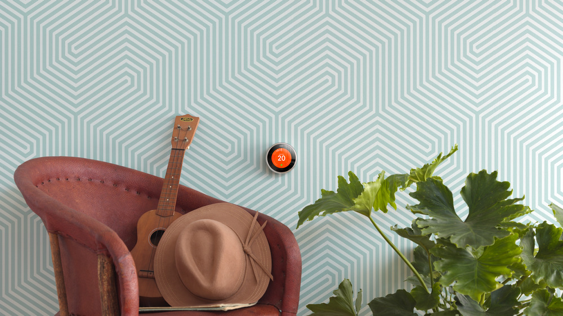 Nest Protect can send an alert to your phone when something’s wrong at home or the batteries run low. And it checks its batteries and sensors every 200 seconds. Many states are now adopting new carbon monoxide legislation that requires the presence of CO alarms in new and existing dwellings. When installing fossil fuel equipment in any home, it’s important to ensure you’re providing the necessary level of safety for the homeowner. 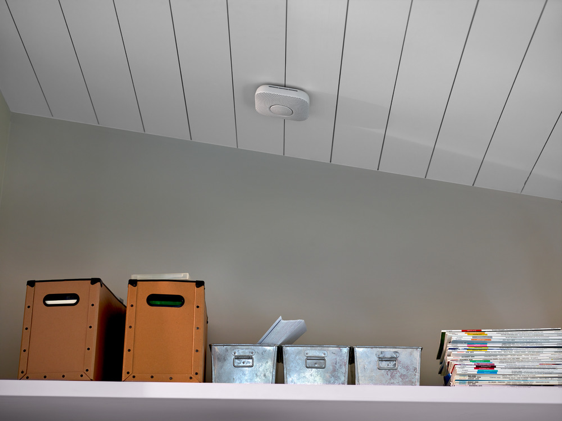 As a smoke and CO alarm, Nest Protect offers that functionality. Additionally, Nest Protect offers emergency shut off capabilities that can communicate with the Nest Thermostat to shut off a forced air furnace when smoke is detected. Emergency shut off can also shut down fossil fuel systems if CO is present in the home. In the past you might have needed special products and wiring to make all of this happen. Now, by installing Nest Protect with the Nest Thermostat and making sure that Internet and Wi-Fi are enabled, you can achieve greater peace of mind for homeowners and families. The Nest Cam Indoor and Outdoor security cameras help you look after your home when you’re away. Both the Indoor and Outdoor cameras contain a high-quality glass lens, image sensor, and 8X digital Clear Zoom so you can see every detail in full 1080p HD. The Cameras offer motion and sound alerts and you can talk back to get someone’s attention. Eight infrared LEDs help you see the whole room, even when it’s pitch black. You can access camera video through the Nest App. When your customers subscribe to Nest Aware, they’ll get 24/7 continuous recording and more intelligent alerts, so they’ll know if someone’s there. Nest Cam Indoor can be mounted on a wall, tripod or shelf. It also will stick to something magnetic. Nest Cam Outdoor plugs into power so you never have to worry about dead batteries. There’s no hub required. 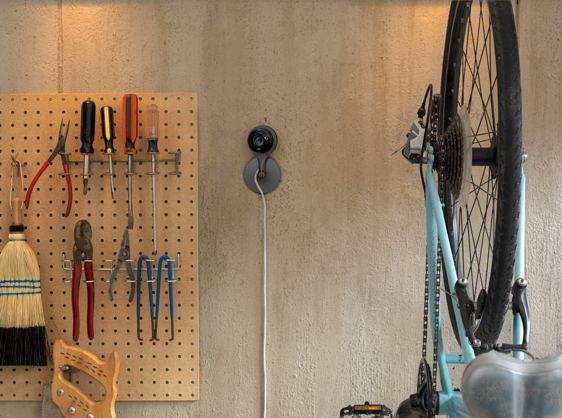 Nest Cam Outdoor’s double-sided magnet lets you install it anywhere. Just plug it in and use the Nest app to connect. In addition to products made by Nest, there are a suite of connected products that work with Nest. From sprinklers to light bulbs to appliances, the number of products that work with Nest is only growing. We currently have over 20,000 developers working on integrations to have their products work with Nest – and 1 in 5 Nest homes have a Works with Nest product. You can see the full list of products that Work with Nest here. Q: Privacy is a big concern. What do you do with the data? Nest: Security and privacy are top priorities at Nest. To learn about Nest security, click here. To learn more about Nest privacy, click here. Q: What if I’m buying or renting a home with a Nest? Nest: Buying or renting a new home is exciting and taking control of your Nest devices is very simple. You can learn how to restart your Nest Products here. We also offer 24/7 customer support at (855) 4MY NEST. *Energy savings are not guaranteed for any particular customer or household.